Today I thought I would cheat a little… in every possible way. My picture of the day is one but four; the same concept as my breakfast. 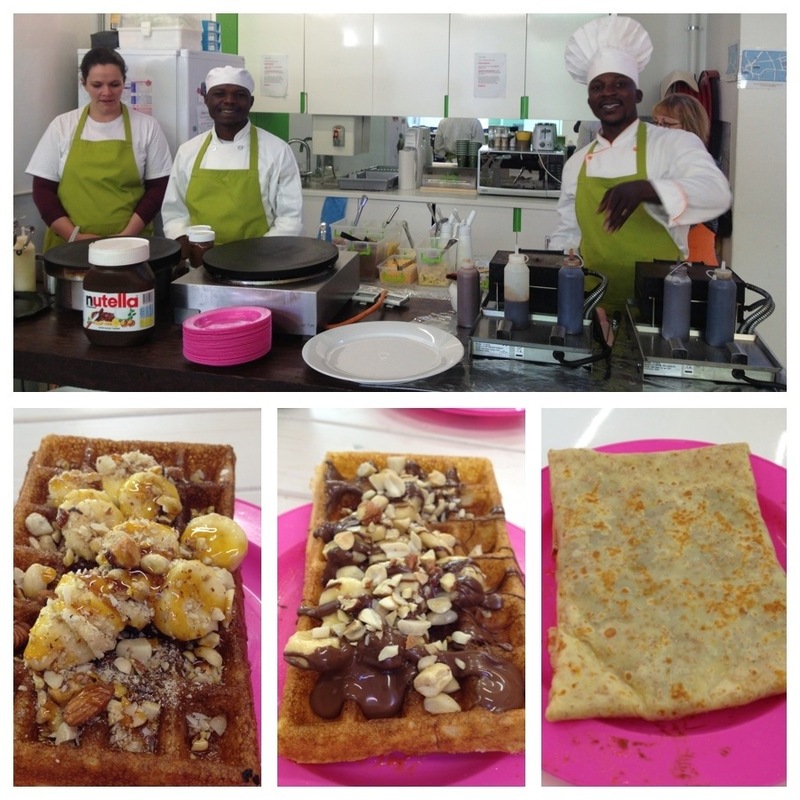 In today’s post are the waffles (and crepe) I consumed this morning. In theory they were meant to be accompanied by wisdom but we had to rely (and hope) that some expertise and understanding were transferred to us just by osmosis as we had to cancel our session of knowledge transfer. Not that Im complaining, not at all… Hey! We got free freshly made waffles in the office!!! And I was (not) by far the best customer. That is a giant tub of Nutella. So hard to resist.